Courtesy of Krista Cartwright, Alpine Realty. Stunning North Dunsmuir home close to river, waterfalls and parks. Gorgeous kitchen including granite counters, custom wood cabinets, tile floors, pendant lights, new stainless propane stove & pot filler. Home has dual pane windows, most all have top/down window shades. Bathroom has custom tile, dual shower heads and pedestal sink. The wood-burning fireplace is an energy efficient, heat circulating, closed combustion fireplace. Most of the walls & ceilings are resurfaced and painted with recessed lighting, updated switches and trim. Attic access with hatch door, attic has floors installed, attic light, extra insulation, attic fan and efficient hot water on demand tankless water heater. Fenced in back yard, dogwood tree, gardens include fruit trees, grapes, strawberries, blackberries, raspberries, herbs, flowers and ornamental grasses. Irrigation system, sidewalks, front porch, garage off ally with a ground level 10 x 12 workshop / room above it and off street parking. Please, send me more information on this property: MLS# 113384 – $225,000 – 4401 Gleaves, Dunsmuir, CA 96025. 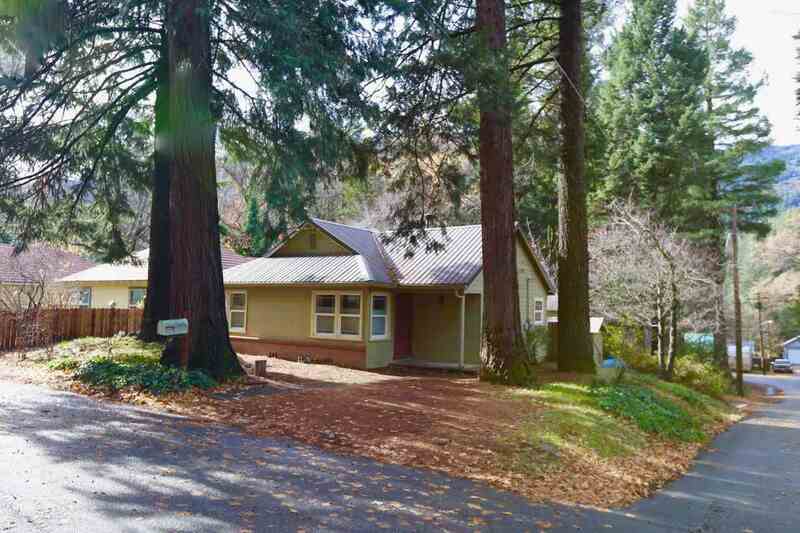 I would like to schedule a private showing for this property: MLS# 113384 – $225,000 – 4401 Gleaves, Dunsmuir, CA 96025.